Our annual auction is a celebratory event, bringing our school and parish community together for a fun-filled night of dining, dancing, and socializing, all while fundraising for the benefit of our parish community. Here is a list of the high schools our 8th grade students have been accepted to! Our next session is on Tuesday, April 9, 2019 from 8-10 am. RSVP required. 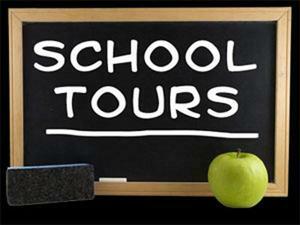 Come visit our school, learn about our program, and see our students and teachers in action. Reserve early - sessions are filling up! Check out this interview by Venice Living magazine where Mrs. McQueen discusses the common vision that St. Mark students, faculty and parents share. St. Mark School was selected as The Best Private School on the Westside by the Argonaut! 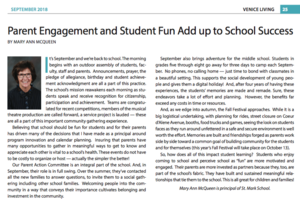 Check out this article written by Mrs. McQueen from Venice Living magazine that details what makes our school community so successful! Checkout the article about our sustainable school lunch program and how one St. Mark family is upping the game on going green! Thank you for your consideration and your kind support! Helpful guide to ordering your school uniforms.